When added to the pool water, COVERfree floats to the surface and forms an invisible layer on the water. This layer significantly reduces water evaporation and hence reduces heat loss from the pool. COVERfree liquid pool cover is ideal for non-rectangular pools where the use of a traditional pool cover would be difficult or is undesirable. It provides excellent heat retention on pools where a traditional cover is not used. 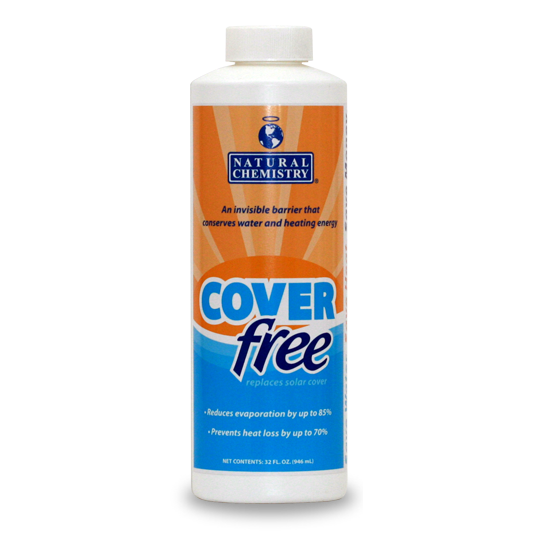 COVERfree is a biodegradable PH neutral product that is safe to the skin. It has been independently tested and is NSF certified. It can be used on indoor or outdoor pools, natural pools, hot-tubs and commercial pools. COVERFree only requires adding to normal pools on a weekly basis saving you money. 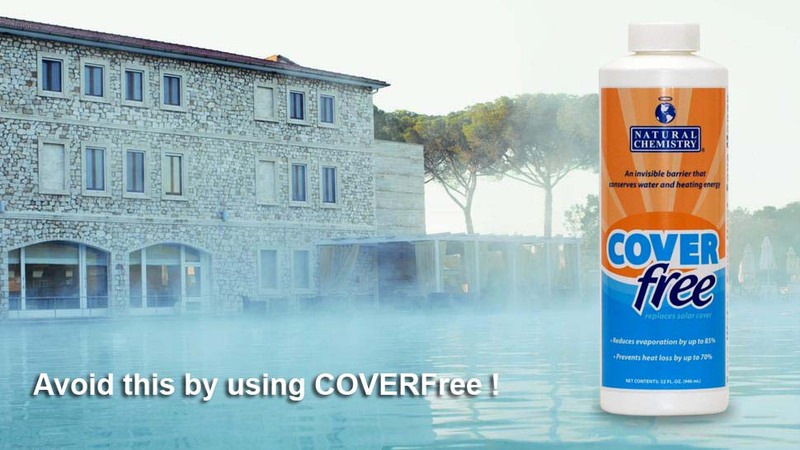 Dont waste money losing heat and water from your pool - use COVERFree to reduce the heat loss and water evaporation !